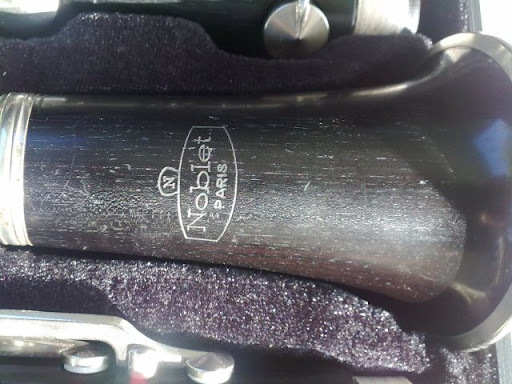 The Noblet clarinets are a step up from the Normandy model, but the difference is slight and both have the same sturdy Leblanc key work. 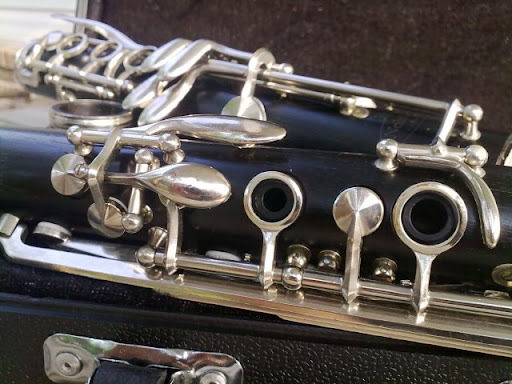 Bore at bottom of LH joint: 14.9mm This makes this model a wide bore instrument, more like the Selmer Signet. Apr2010: Serial #63446, perhaps made in 1963. Complete pictures here. Mid-2010, #A30271, made in 1973. Has the new style trill keys with bump in the top key.